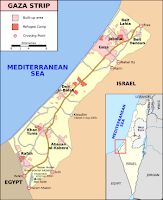 The area currently referred to as Palestine includes the territories of present day Israel and Jordan (refer to map). Between 1517 to 1917 most of this area remained under the rule of the Ottoman Empire. Ottoman Empire was dissolved at the end the First World War. Its successor, modern Republic of Turkey, transferred Palestine to British Empire control under the Treaty of Lausanne when conquered territory was divided up. In 1917 Great Britain issued the Balfour Declaration for "the establishment in Palestine of a national home for the Jewish people". In 1922 Britain allocated nearly 80% of Palestine to Transjordan. Thus, Jordan covers the majority of the land of Palestine under British Mandate. Jordan also includes the majority of the Arabs who lived there. In other words, Jordan was the Arab portion of Palestine. The residents of Palestine are called "Palestinians". Since Palestine includes both modern day Israel and Jordan both Arab and Jewish residents of this area were referred to as "Palestinians" by the British. 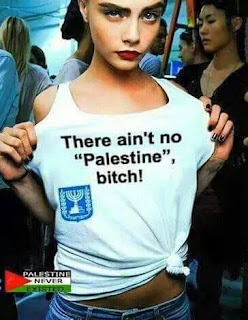 It was only after the Jews re-inhabited their historic homeland of Judea and Samaria, that the myth of an Arab Palestinian nation was created and marketed (successfully) worldwide. Jews come from Judea, not Palestinians. There is no language known as Palestinian, or any Palestinian culture distinct from that of all the Arabs in the area. There has never been a land known as Palestine governed by Palestinians. " "Palestinians" are Arabs indistinguishable from Arabs throughout the Middle East. The great majority of Arabs in greater Palestine and Israel share the same culture, language and religion. The rebirth of Israel was accompanied by economic prosperity for the region. Arabs migrated to the area to find employment and enjoy the higher standard of living. Much of the Arab population in this area migrated into Israel and Judea and Samaria from the surrounding Arab countries over the past 60-70 years. In documents not more than hundred years, the area is described as a scarcely populated region. Jews by far were the majority in Jerusalem over the small Arab minority. Until the Oslo Agreement, the major source of income for Arab residents was employment in the Israeli sector. The Palestinian Arabs have been used as a cat's paw by Iran, Saudi Arabia and Egypt from time to time as useful pawns in the power struggle against Israel. Neither the Saudis, the Iranians or anyone else sheds much of a tear when the Israelis counter-punch and kill a few thousand Palestinians. It's tough to tell the players without a program in "Palestine", since there are so many factions competing for power and so many groups who are in the employ of different international actors. Barack liked Palestine and dumped at least US$3 billion there through different vehicles during his term of office. I think that is over now. The one thing that the Palestinians have in common (generally) is an envy of and hatred of Israel. 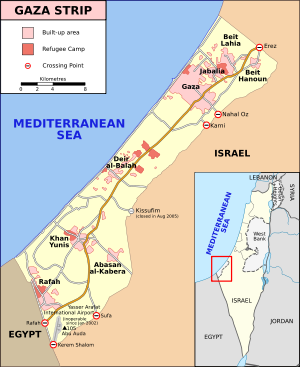 Israel had a problem with terrorists crossing over into its territory from Gaza. So they build a wall. And 99.9% of the terrorist incidents in territory adjacent to Gaza stopped. The Arabs have tried to tunnel under the wall. When that happened, the Israeli Army went in and bulldozed the area adjacent to the wall, destroying tunnels. The wall has been a demonstrable success story.